I was thinking it would be nice if there was such a thing as a Swiss Army knife for scrappers. Has anyone here ever seen one? I imagine there are other things that it could include as well. If nobody has seen this before and some enterprising person here were to make one available to SMF members, this could be a neat Christmas present for us to buy for ourselves. What other items could be added to a Swiss Army knife for scrappers? 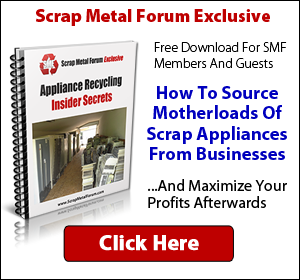 What would you pay for a nice one if it was made for SMF members? I imagine that a decent one would be worth $40-50. I have a basic kit I carry everywhere, in every vehicle: a 6-in-1 screwdriver, a basic leatherman-type tool, a pair of channellocks, and a hamdammer. Seems to work for just about anything. That thing is a MONSTER! Can you imagine if you found one of those while on Curb Co. duty?!? Now that would be one incredible find. these are usually worn on a keyring or a small chain attached to your belt- imaging doing that with this monster. 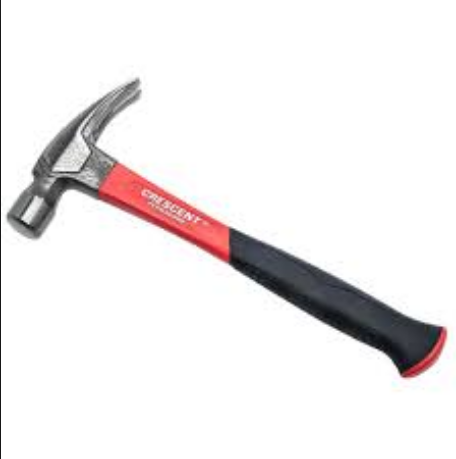 If it has a crowbar, sledge hammer and a cordless angle grinder on it i'd buy one. Might be a little bulky carrying it in your pocket. I carry a cheap multi tool in the truck that has a needle nose pliers head that flips around and the other side is a diagonal pliers(side cutters) head. It's extremely cheap in quality and in price. I believe it was $11-12 at Walmart. It's, so far as I'm aware, the only multi tool currently in production that includes a diagonal cutter head. The SOG PowerCut was going to be an awesome side cutter multi tool that any scrapper would be happy to carry on their belt, but it never made it to market and was thus "discontinued". They refused to use anything but stainless steel so the heads kept breaking and chipping (of course!). It's annoying that it's apparently blasphemy in America to make a knife or multi tool out of anything but stainless steel. I don't like stainless steel knives/multis, they're generally cheap in quality and much harder to sharpen and keep sharp.